Happy 20th Birthday To Quilt Patch Fabrics! This month marks our 20th year as the area's premier quilt shop! It's hard to believe it's been 20 years since we opened our doors! There have been many good times, and some lean times, too. Through it all we've had the good fortune to keep our doors open and the privilege of calling our customers our friends. They say if you love what you do, you never work a day in your life, and we love what we do! Thank you to all of our loyal customers and friends for continuing to support your local quilt shop. To celebrate our birthday we're having a 20th Birthday Sale Nov. 11-12. Get 20% off everything in the store! Barefooters get 25% off! And the first 20 people through the door on Sat., Nov. 12, will get a coupon for 25% off one item on their next visit. You could win this fabulous basket of birthday goodies! Add your name to the Birthday Basket drawing every time you visit the shop! The drawing will be held Sat., Nov. 12, at 1:00pm, followed by birthday cake for everyone! Have you joined the Neighborhood? The blueprint for house Block 9 is now available! Blueprints for houses 1 through 8 are available on our website. 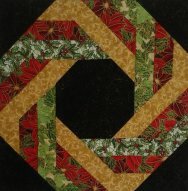 Just a reminder that November 1st was the last day Quilt Patch will guarantee quilts for Christmas delivery. Kay Giese's cut off date is November 15. 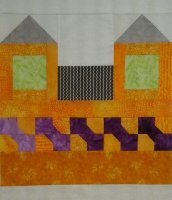 Quilt Patch will be closed Thursday, Nov. 24, for Thanksgiving. But we will be open on Friday, Nov. 25, so stop by and say hi while you're out doing your Black Friday shopping. Call us at 704-821-7554 to sign up.